I would like to thank the author for an advanced review copy of this book in return for an honest review. 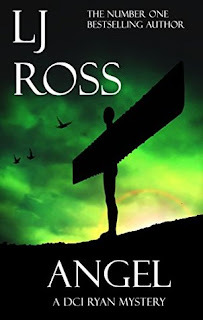 I have been such a huge fan of the previous three books in the DCI Ryan series, Holy Island, Sycamore Gap and Heavenfield, but LJ Ross has really out done herself with Angel, which is by far the best book in the series so far. 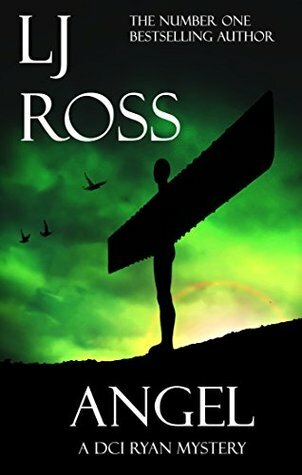 Angel brings us back to DCI Ryan, this time on Good Friday morning, when Ryan and the rest of his team get a call to say that a red headed woman has been buried in a shallow grave, arrranged as an Angel in one of Newcastle's biggest graveyards. But nothing ever runs smoothly for DCI Ryan and team and soon they have more bodies fitting the description being found dead and being reported missing in equal measure. With the women being buried under the cover of darkness and no sign of forced entry to the graveyards in question, the team make links between the murders and the Catholic Church. Once again the question is can Ryan and the rest of the team bring these women to justice and catch the killer before he can take more lives. Angel can be read as a standalone novel, but I highly suggest that you read the rest of the series, so you can properly acquaint yourself with DCI Ryan. LJ Ross has a writing style like no other author that I know. She has the ability to throw in twists and turns without you even realising that she has done so. 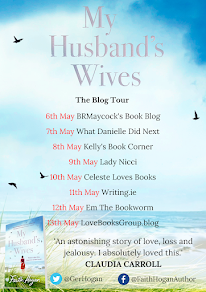 So much happens in such a short space of time, but unlike other books I have read where the same happens, I am able to follow what happens in the DCI Ryan series perfectly. In fact, I get so caught up in the books in this series that I hardly blink while I am reading them in case I miss something important. No matter how many times you try to guess what is going to happen, the book takes a completely different direction, which takes your thoughts back to the drawing board once more. I cannot praise this series, but especially this book enough. I was on the edge of my seat from beginning to end and I didn't want to put the book down even for a second. The ending was a huge surprise to me and I am glad that I have High Force, the next book in the series sitting on my bookshelf, so I don't have to wait too long to find out what happens next. This is the kind of series where even if there was 80 DCI Ryan novels, it would never be enough. I adore this series and I love all the characters. I cannot get enough of this author and her amazing writing style. I have become so invested in this series that I am always waiting for my next fix. I cannot express enough how amazing this series is and I can't find the words to recommend it enough.